In our extended studio interview, David Gehring recaps the various Google tools that newsrooms are using to attract, engage with and monetize their audiences. He also explains how Google's mission aligns with that of news organizations and how Google's approach to big data can serve as an example. Finally, he offers his vision of the business models that are likely to carry journalism forward. 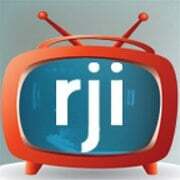 Watch the RJI Futures Lab video update here.